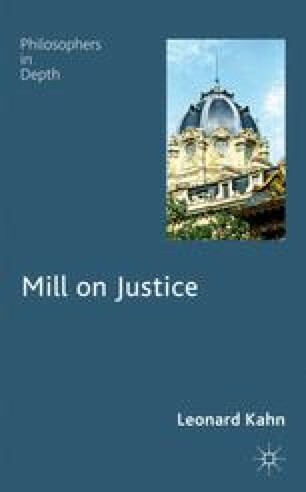 No collection of writings on Mill and justice would be complete without a comparison of Mill’s account of justice with that of John Rawls. Rawls’s A Theory of Justice attracted more attention than any writing on justice in the twentieth century. It bred a substantial volume of secondary literature — interpretation, criticism, and efforts to apply the theory in other areas. Rawls himself, in later writings, expanded — or contracted, some commentators would say — it to more general questions of political philosophy and to justice among nations. In this chapter I will focus on the original statement of his position in A Theory of Justice. The basic model on which the theory is constructed seems very simple, but the limitations of its scope and the supporting arguments for it are very complex. In the first place, Rawls is presenting an ideal theory for a well-ordered society, with strict compliance. He thinks that this helps to provide principles to criticize the injustice in our own society. But he goes on to provide argument for institutional arrangements in nonideal societies in light of the ideal. Secondly, the scenario by which he argues for his principles of justice is subject to controversial assumptions.